Would it be really bad if I just stole this idea outright to tell you about my morning commute? Another post of interest for my University of Pennsylvania readers (that’s two in two days – pretty cool, huh?). 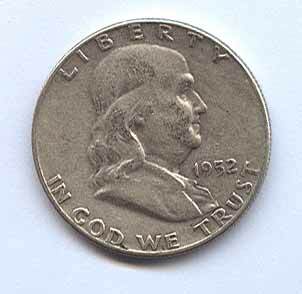 Anyway, not much to add here, other than to say, did anyone know that back in the 50′s, the United States minted coins with Ben Franklin’s picture on them? I know there’s an entire population of adults out there who still buy comic books, and follow the plots like they’re soap operas, but I didn’t realize how…well, pedestrian, these plots have become. OK, first of all, seriously? Marvel Comics has adopted the basic plot of The Incredibles? Isn’t this a job for Captain Copyright? Also, note the references to Reality TV and WMD’s, which give it that modern, political feel. The registration act polarized the superhero community. Captain America (whose true identity was Steve Rogers) considered the legislation an erosion of civil liberties; Iron Man, on the other side, believed that training heroes as the military, firefighters or the police are trained would only benefit society. When the factions came to blows and caused more destruction, Captain America chose to fight his battle . . . When the factions came to blows and caused more destruction, Captain America chose to fight his battle in court. But in the current issue of his title, Captain America takes bullets in the shoulder and stomach while on the courthouse steps. 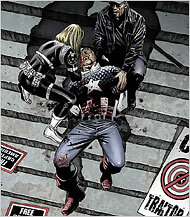 The assassin is alleged to be Sharon Carter, an intelligence agent romantically involved with Captain America. So this is the state of the modern comic book? The superhero goes to court to defend his civil rights, and dies of a gunshot wound amid protest signs calling him a traitor, a victim of a domestic dispute gone bad? PHILADELPHIA – Kal Penn [a.k.a. Kalpen Modi], known for his role as Kumar Patel in the 2004 cult classic “Harold & Kumar Go to White Castle,” will be a guest instructor at the University of Pennsylvania during the spring 2008 semester. Penn, 29, will teach two undergraduate courses, tentatively titled, “Images of Asian Americans in the Media” and “Contemporary American Teen Films,” the school announced Monday. One of my rationales for buying a new PC was to give my son, Avery, our old PC. Well, thanks to some good, 24/7 tech support at Linksys, I finally got wireless connectivity in his room this weekend, and I’m pleased to report that the investment showed returns in the first 24 hours. Avery’s school puts on a “Variety Show” each year, which consists of each class doing a dance routine to a recording of a (semi-)popular song. This year, Avery’s class is doing Dancing on the Ceiling, by Lionel Ritchie. The Internet was born three days before I was, although I didn’t start using it until college. Today, my aptitude with it and related technologies not only enable me to make a living, but enhance the quality of my life in numerous ways. Google was formed eight months before my son was born, and he’s learning to use it in the first grade. I can hardly imagine the benefits his aptitude with it and the related technologies to come will bring him as he grows up. I am pretty sure, though, that they will be worth more than the price of a new PC in 2007. Anyone have a $1,000 Pizza in Utah? Nino Selimaj, who runs six pizza restaurants in New York, on Wednesday unveiled his Luxury Pizza, a 12 inch (30 cms), thin crust topped with caviar, lobster, creme fraiche and chives. Cut into eight, it works out at $125 a slice. “But where better to experiment with pizza than in New York where people love their pizza,” he said. Global warming is the hottest story of our time, and it will get even bigger . . . [said] a panel of journalists said last weekend during the American Bar Association’s environmental law conference. The discussion was focused on how the media has covered the story and whether or not public perception of global warming has changed in recent months and years. “The public debate is lagging way behind scientific consensus, which is as strong as the consensus on the link between smoking and cancer,” said author Eugene Linden. According to Linden and [ABC News correspondent Bill Blakemore], the global warming issue has been the subject of a massive, industry-sponsored disinformation and propaganda campaign aimed at creating the perception that there is still a scientific debate on the basic facts of global warming. Colorado Springs Gazette editorial page editor Sean Paige, took a contrarian view. Paige, the only panelist who wasn’t prepared to jump wholeheartedly on the global warming bandwagon, said a decade of sensationalistic coverage of environmental issues has resulted in a cry-wolf syndrome. “Maybe the wolf is at the door now,” Paige said, referring to global warming. “But the public has tuned out. We (journalists) haven’t been skeptical enough of the environmental anxiety industry,” he said. Paige, describing himself as a layered skeptic, said there’s still room for a global warming debate. “What can be done and what will it cost?” Paige asked. Journalists should be asking whether it’s really wise at this point to pour massive resources into prevention when the money might be better spent on adaptive measures. Paige said it’s not clear that capping greenhouse gas emissions, for example, will make a meaningful difference in curbing the warming trend. Paige also said he sees a form of eco-McCarthyism on the rise, with the fixation on “consensus” leading to a muzzling of dissenting voices. “Let’s silence everybody who doesn’t agree,” Paige said, characterizing the mood as he perceives it and claiming that there are legitimate scientists out there who have valid questions about the state of global warming science. But those voices are not being heard. . .
“Prevention vs. Adaptive Measures.” That’s the phrase I’ve been looking for for over a year now. 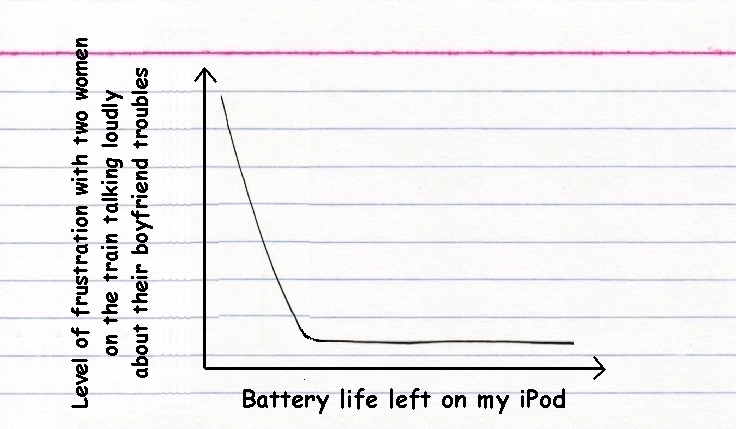 Having just gone through DSTY2K7 testing at work, I’ve been reminiscing about the whole Y2K story. Remember what people were saying about Y2K? The power grid was going to fail, the financial markets were going to fail to open, heating & water systems were going to shut down, nuclear missiles would malfunction in their silos, and basically our entire society would be plunged into chaos? Here’s the thing: if no one did anything to fix the Y2K bugs, many of these things, crazy as they seem, probably would have happened. But people didn’t do nothing. They waited until it was an emergency (remember – everyone knew about the Y2K problem as far back as the late ’70s), and then they took steps to avoid those catastrophic results. The whole thing cost billions of dollars, but it got done. I think the paradigm around global warming is very similar. I’m willing to believe that if nothing is done, highly populated areas will wind up underwater, hunger and disease will spread rapidly, and many people will suffer and die. I’m just not willing to believe that people will do nothing. Even the most dire of predictions talks about how bad life will be in 2050 or 2080. If Y2K is our guide, I think we’ll see a massive campaign to deal with the impact of this problem when the water starts lapping at our shores. And by then, it won’t be about reducing greenhouse gas emissions. It will be about building levees that work, reinforcing shorelines, finding new ways to prevent beach erosion, etc. The heightened American street presence may already have contributed to an increase in the percentage of American deaths that occur in Baghdad. Over all, the number of American soldiers killed in Iraq from hostilities since Feb. 14, the start of the new Baghdad security plan, fell to 66, from 87 in the previous four weeks. But with more soldiers in the capital on patrol and in the neighborhood garrisons, a higher proportion of the American deaths have occurred in Baghdad – 36 percent after Feb. 14 compared with 24 percent in the previous four weeks. Also over the past four weeks, a higher proportion of military deaths from roadside bombs have occurred in Baghdad – 45 percent compared with 39 percent. So let me get this straight: we put more troops in Baghdad, and the percentage of the troops killed or injured in Baghdad went up. That just seems like basic math, no? Why is the Times pointing to it as a mitigating factor against the drop in overall casualties? If only one soldier is killed in the next four weeks, and he/she happens to be in Baghdad, will the Times report a near tripling of the Baghdad U.S. Death Percentage (from 36% to 100%)? I know there are people who rip on the Times all the time for being a liberal rag. I try to stay away from that because I think one can find their opponent’s political spin in just about any article if they look hard enough for it. But in this case, it feels very much like the Times is just reaching for bad news, lest it need to report something positive about the much-maligned (in its own pages) “Surge” strategy. WASHINGTON – Khalid Sheikh Mohammed portrayed himself as Al Qaeda’s most ambitious operational planner in a confession to a U.S. military tribunal that said he planned and supported 31 terrorist attacks, topped by Sept. 11, that killed thousands of innocent victims since the early 1990s. Many plots, including a previously undisclosed plan to kill several former U.S. presidents, were never carried out or were foiled by international counter-terror authorities. No one exemplifies the model of the terrorist entrepreneur more clearly than Khalid Sheikh Mohammed, the principal architect of the 9/11 attacks. In 1994, KSM accompanied [Ramzi Yousef, architect of the 1993 World Trade Center bombing] to the Philippines, and the two of them began planning what is now known as the Manila air or “Bojinka” plot – the intended bombing of 12 U.S. commercial jumbo jets over the Pacific during a two-day span. During this same period, KSM and Yousef also developed plans to assassinate President Clinton during his November 1994 trip to Manila, and to bomb U.S.-bound cargo carriers by smuggling jackets containing nitrocellulose on board. [In mid-1996,] KSM arranged a meeting with Bin Ladin in Tora Bora, a mountainous redoubt from the Afghan war days. At the meeting, KSM presented the al Qaeda leader with a menu of ideas for terrorist operations [including] a proposal for an operation that would involve training pilots who would crash planes into buildings in the United States. This proposal eventually would become the 9/11 operation. Bin Ladin . . . finally decided to give KSM the green light for the 9/11 operation sometime in late 1998 or early 1999. KSM then accepted Bin Ladin’s standing invitation to move to Kandahar and work directly with al Qaeda. In addition to supervising the planning and preparations for the 9/11 operation, KSM worked with and eventually led al Qaeda’s media committee. While the 9/11 project occupied the bulk of KSM’s attention, he continued to consider other possibilities for terrorist attacks. For example, he sent al Qaeda operative Issa al Britani to Kuala Lumpur, Malaysia, to learn about the jihad in Southeast Asia from Hambali. Thereafter, KSM claims, at Bin Ladin’s direction in early 2001, he sent Britani to the United States to case potential economic and “Jewish” targets in New York City. Furthermore, during the summer of 2001, KSM approached Bin Ladin with the idea of recruiting a Saudi Arabian air force pilot to commandeer a Saudi fighter jet and attack the Israeli city of Eilat. Bin Ladin reportedly liked this proposal, but he instructed KSM to concentrate on the 9/11 operation first. Similarly, KSM’s proposals to Atef around this same time for attacks in Thailand, Singapore, Indonesia, and the Maldives were never executed, although Hambali’s Jemaah Islamiah operatives did some casing of possible targets. As I’ve mentioned before, I’ve been a Windows Vista user for about a month now. The majority of HP products not supported in Windows Vista are beyond seven years old. If you are using the Windows Vista operating system on your computer, please consider upgrading to a newer HP product that is supported on Windows Vista. The product you have entered does not have an aftermarket trade value. You may want to consider one of the disposal options below. My options at this point seem to be: a) put the scanner in my son’s room (with the old PC) and go up to his bedroom whenever I need to scan, or b) buy a new scanner. Plan A would be a no-brainer, except that I hate to take up desk space in my son’s room for something he’ll hardly ever use. I’ll probably swing by Best Buy or some such store this weekend and see if I can find a really cheap (read: <$100) scanner for the office. If not, we’ll go with Plan A. In any case, isn’t it interesting that HP took such subtle advantage of the opportunity Windows Vista presented it, by basically declaring the back-end of their product pipeline dead on arrival? Writing Vista drivers for these devices could not be that expensive. By not bothering, they simply decided to screw over their old customers and force them to spend some money to replace something that’s working just fine as it is.